Thousands of visitors are expected to flock to Braemar this weekend for the 202nd Highland Gathering and Games. The event always attracts people from across the world keen to watch and take part in the Scottish traditions and hopefully catch a glimpse of royalty. Organisers are expecting thousands of people to turn out for a day of traditional heavy, light and athletic competitions. Pipers and Highland dancers will also show off their talents to the crowd, which normally includes the Queen – who is the patron of the games – and other members of the Royal Family. The Queen, who is holidaying at Balmoral, is expected to make the short journey to Braemar, but it is not known if Prince Philip will be joining her. He will however be accompanying her when she formally opens the new Queensferry Crossing two days later. This year the Queen made an unexpected first-time visit to the Aboyne Highland Games, which was celebrating its 150th birthday, to the delight of the crowds. 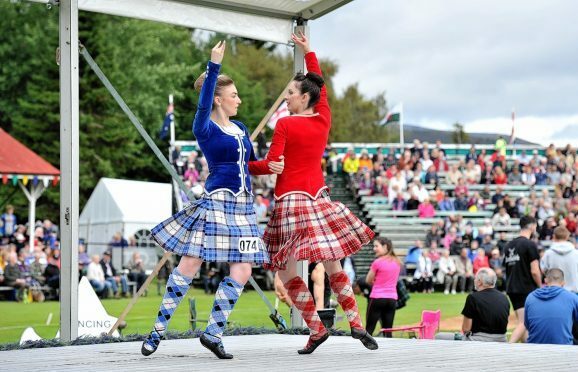 As well as the usual heavyweight competitions, such as the hammer throw, caber tossing and shot putt, there will be athletics, piping and Highland dancing contests. The massed pipe band will parade around the park throughout the day following their arrival at 9.30am. In June, planning permission was granted for a new Highland games centre for Braemar. Once completed, the centre will provide year-round facilities and tell the story of the games and will be located in the Princess Royal and Duke of Fife Memorial Park. It will include a gallery, exhibition hall, cafe, gift shop and office as well as general service areas. Organisers are warning visitors to leave plenty of time for travel and to note that a traffic management system will be in place from midnight on Friday, September 1, with no ‘on street’ parking being available in the centre of the village on Saturday. Mar Road, Invercauld Road, Cluniebank Road and Glenshee Road will be closed. Free parking is available in the car parks provided on the approaches to the village and within the designated label parking areas.